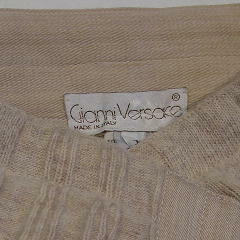 These wheat-colored vintage Gianni Versace pants are pure virgin wool and were made in Italy. 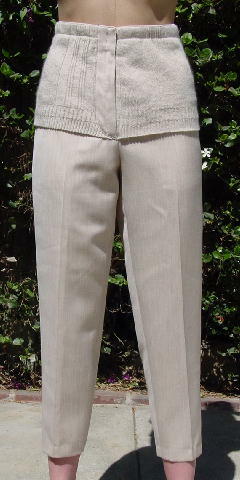 They have an 8 7/8" long sweater-skirt effect (starting at the waistband) which is only sewn vertically at both sides of the zipper. 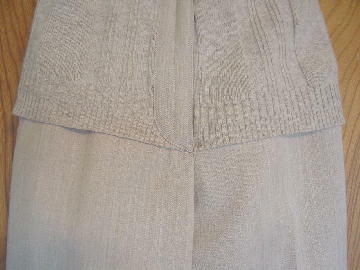 There are two deep diagonal side pockets which are under the "sweater-skirt". It has nice detailing and beautiful fabric. 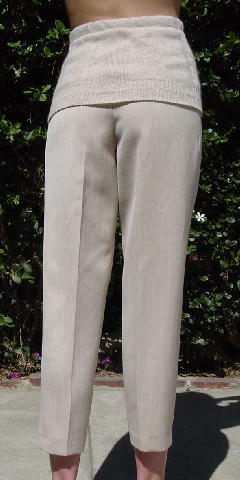 hem can be let down 1 1/8"